Oh, K., Seo, J., Kim, J., and Yi, K., MPC-based approach to optimized steering for minimum turning radius and active driving assistance of multi-axle crane, International Journal of Control, Automation and Systems, 2017, accepted. Oh, K., Yun, S., Ko, K., Kim, P., Seo, J., and Yi, K., An investigation of energy efficiency of wheel loader with advanced powertrain: automated manual transmission, Journal of Mechanical Science and Technology, 2016, vol. 30(7), pp. 2933-2940. Oh, K., Yun, S., Ko, K., Ha, S., Kim, P., Seo, J., and Yi, K., Gear ratio and shift schedule optimization of wheel loader transmission for performance and energy efficiency, Automation in Construction, 2016, vol. 69, pp. 89-101. Seo, J., Noh, D., Lee, G., and Jang, J., A percussion performance analysis for rock-drill drifter through simulation modeling and experimental validation, International Journal of Precision Engineering and Manufacturing, 2016, vol. 17(2), pp 163-170. Seo, J., Park, J., and Kim, H., Experimental evaluation of percussion performance for rock-drill drifter, Journal of Biosystems Engineering, 2015, vol. 40(1), pp. 1-9. Choi, K., Seo, J., Nam, Y., and Kim, K., Energy-saving in excavators with application of independent metering valve, Journal of Mechanical Science and Technology, 2015, vol. 29(1), pp. 387-395. Seo, J., Khajepour, A., and Huissoon, J., Comprehensive online control strategies for plastic injection moulding process, ASME Journal of Manufacturing Science and Engineering, 2014, vol. 136(4), pp. 041009-1~10. Seo, J., Khajepour, A., and Huissoon, J., Thermal management in laminated die system, International Journal of Control, Automation and Systems, 2014, vol. 12(4), pp. 794-804. Seo, J., Khajepour, A., and Huissoon, J., Optimal sensor location in laminated die system, ASME Journal of Dynamic Systems, Measurement and Control, 2012, vol.134(2), DOI:10.1115/1.4005035. Seo, J., Khajepour, A., and Huissoon, J., Identification of die thermal dynamics using neural networks, ASME Journal of Dynamic Systems, Measurement and Control, 2011, vol.133(6), DOI:10.1115/1.4004045. Kim, J., Seo, J., Batish, A., and Bhattacharya, A., Effect of process parameters in resistance micro-welding of stainless steel cross wire using fractional factorial experimental design, International Journal of Manufacturing Research, 2011, vol. 6(3), pp. 290 -303. Seo, J., Venugopal, R., and Kenné, J., Feedback linearization based control of a rotational hydraulic drive, Control Engineering Practice, 2007, vol. 15, pp. 1495-1507(received about 79 citations). Oh, K. and Seo, J., Sliding mode observer-based fault detection algorithm for steering input of all-terrain crane, Journal of Drive and Control, 2017, vol. 14(2), pp. 30-36. Oh, K. and Seo, J., Development of automatic steering control algorithm based on MPC with disturbance observer for all-terrain crane, Journal of Drive and Control, 2017, vol. 14(2), pp. 9-15. Oh, K. and Seo, J., Adaptive model free control based steering control algorithm for multi-axle all-terrain crane using recursive least-squares with forgetting, Journal of Drive and Control, 2017, vol. 14(2), pp. 16-22. 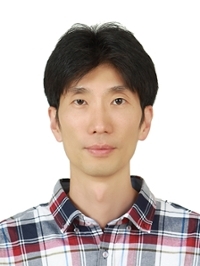 Seo, J., Lee, G., and Oh, K., Development of steering control algorithms for all terrain crane and performance verification based on real-time co-simulation, Trans. Korean Soc. Mech. Eng. A, 2017, vol. 41(5), pp. 367-374. Oh, M. Seo, J. and Jung, S., Implementation of position and force control by modelling of a miniatured excavator, Journal of Institute of Control, Robotics and Systems, 2016, vol. 22(12), pp. 1034-1039. Oh, K., Seo, J., and Lee, G., Model predictive safety evaluation algorithm for excavators using RLS estimation of rotational inertia, Journal of Drive and Control, 2016 (Dec. 1), vol. 13(4) pp. 59-67. Oh, K., Park, S., Seo, J., Lee, G., and Yi, K., Laser scanner based stochastic and predictive working risk assessment algorithm for excavators, Journal of Drive and Control, 2016, vol. 13(4), pp. 14-22. Kim, D., Nam, Y., Seo, J., and Jang, J., Development and verification of analytical model of a RHINO valve for 21-ton electric excavator, Journal of Drive and Control, 2015, vol. 12(3), pp. 52-59. Noh, D., Seo, J., Park, J, Park, J., and Jang, J., Analysis of drifter’s critical performance factors using its hydraulic analysis model, Journal of the Korea Society for Simulation, 2014, vol. 23(3), pp. 33-40. Noh, D., Jang, J., Seo, J., Kim, H and Park, J., Development of drifter’s hydraulic system model and its validation, Journal of the Korean Society for Fluid Power & Construction Equipment, 2014, vol. 11(3), pp. 14-21. Oh, K., Kim, H., Yi, K, Ko, K., Kim, P., and Seo, J., Energy flow analysis of working and driving system of a wheel loader, Journal of the Korean Society for Fluid Power & Construction Equipment, 2014, vol.11(2), pp. 22-29. Seo, J., Khajepour, A., and Huissoon, J., Thermal dynamic modeling and control of injection moulding process, Autonomous and Intelligent Systems, Lecture Notes in Computer Science, Springer Berlin Heidelberg, 2011, vol. 6752, pp. 102-111. Lee, K., Oh, J., Seo, J., and Kim, H., Core technology in electric excavators, Machinery and Materials, 2012, vol. 24 (3), pp. 120-126.